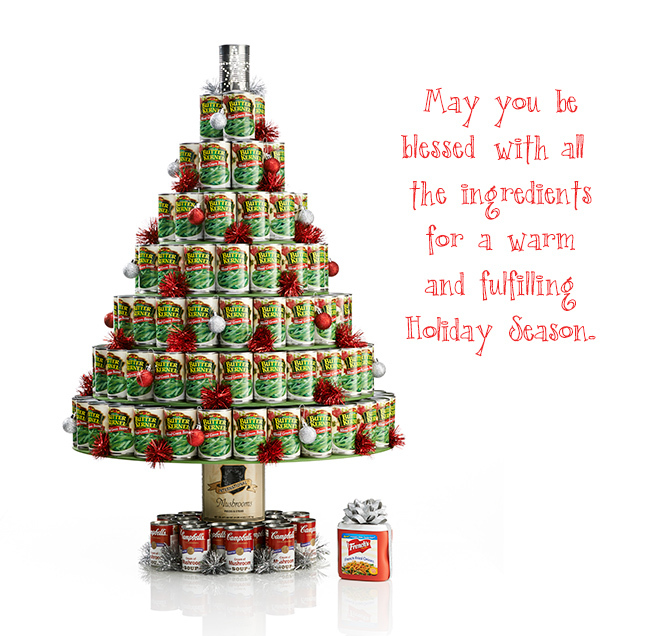 We created our Holiday card to be much more than just well wishes for a great Holiday Season. We believe in making an impact with our time, talents and resources. There are so many people who are hurting, homeless, and hungry. And, there are incredible programs reaching out and making a difference in the community. We wanted to shine a light on one such program – The Union Gospel Mission. 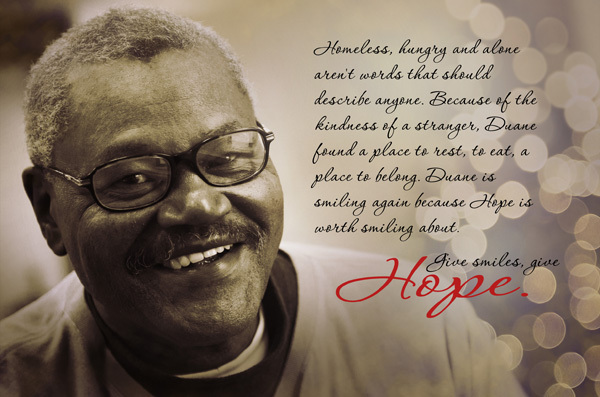 Since 1902, The Union Gospel Mission (UGM) has been helping thousands of Twin Cities’ residents who are homeless, hungry, and have chemical addictions. 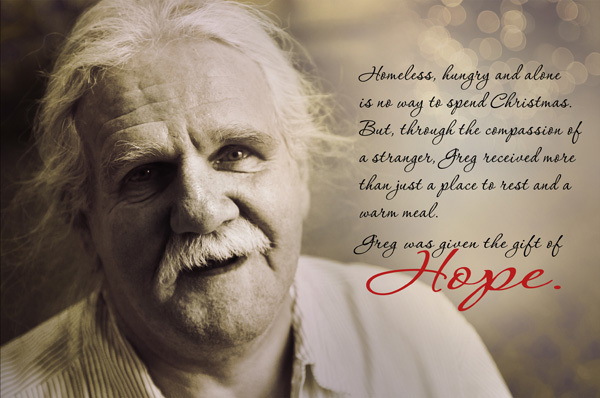 The mission depends on contributions and volunteers to meet the needs of those like Doug, shown in our studio Christmas card. 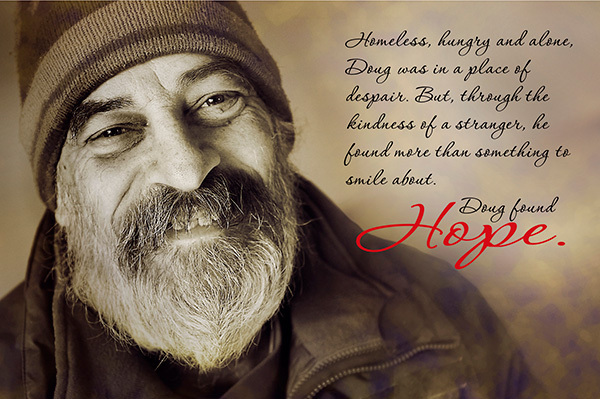 The Faces of Hope campaign was created out of several trips Photographer, Greg Kamin made to meet some of the people blessed daily by the UGM. Each person has a different story of where they came or how much they were hurting, but the common thread is that each person now has hope. Another one of the subjects for the ads, Greg, was so grateful for the help he received from the UGM that he now works there to help others. “This place saved my life,” Greg said about the UGM. On November 17th, 2010 Gamut One Studios participated in the Union Gospel Mission annual Radiothon on WCCO. This day was a huge success for the Twin Cities residents in need and for the UGM. On this one Radiothon day, a total of $103,898 was donated to the UGM, which included all corporate sponsors and individual pledges. This amount will provide more than 54,000 meals. To learn more about the Twin Cities Union Gospel Mission, visit their site at: http://www.ugmtc.org. 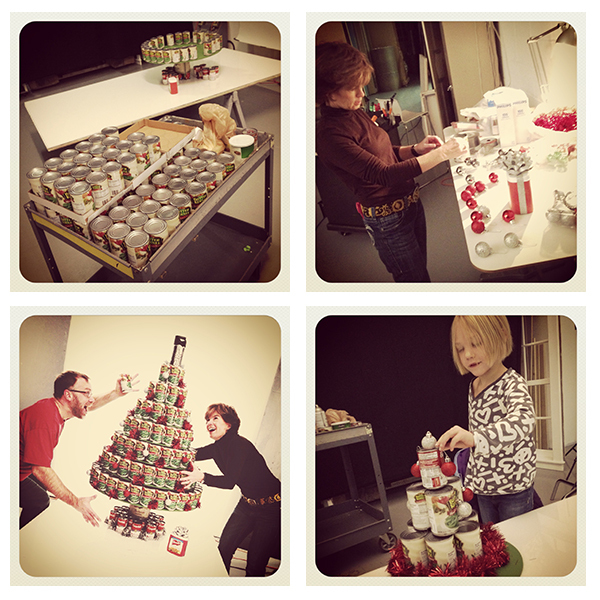 All of us at Gamut One Studios wish you a Holiday Season and New Year filled with hope!